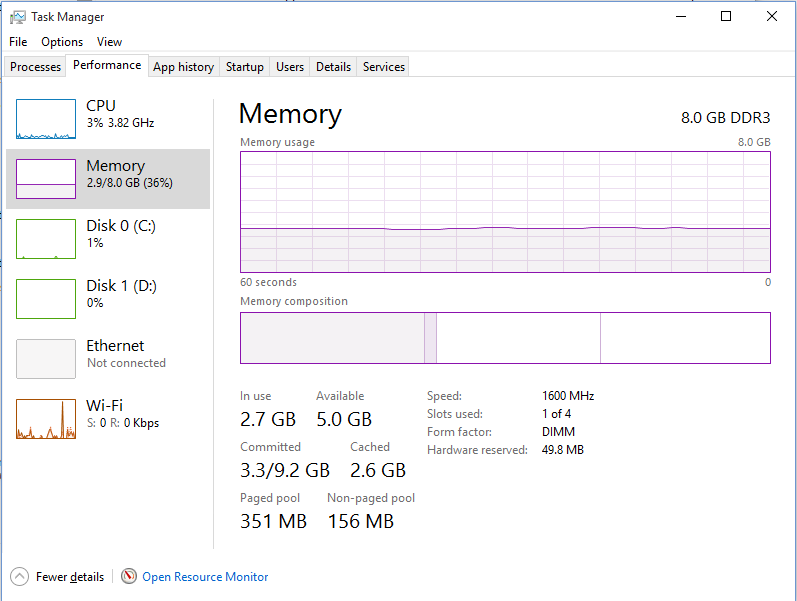 I wanted to check the RAM speed. 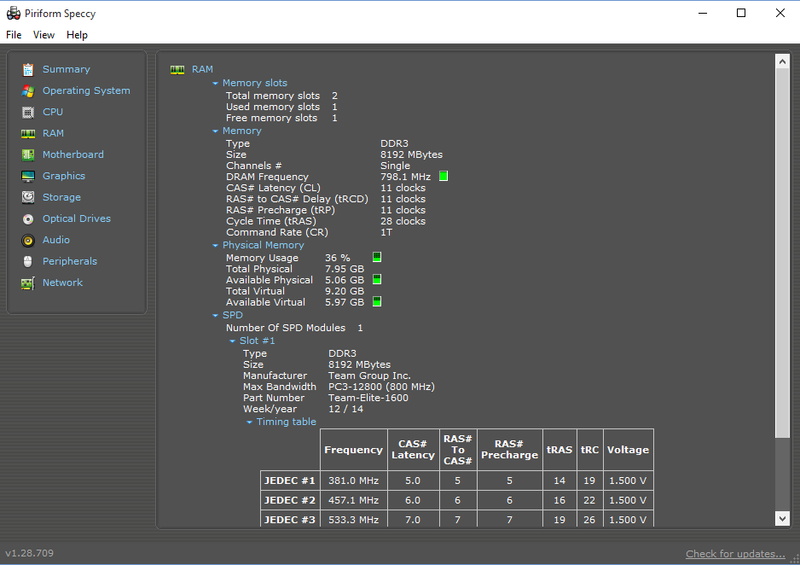 Speccy shows "8.00GB Single-Channel DDR3 @ 798MHz (11-11-11-28)". But on the task manager it sais 1600MHz. Can anyone explain why speccy gives false information? I'm adding 2 screenshots.
. . . why speccy gives false information? Not false info. Your Double Data Rate 798 MHz module transfers data at 1600 MHz. 2.5 year old thread @wolf8000 ! “Like the ticking of a clock, each tick represents a single hertz or cycle (the opening and closing of a transistor gate in this case). A speed of 1Hz, for example, is one cycle per second; 2Hz is two per second; a MHz is 1,000,000 cycles per second; you get the picture. The problem is when DDR (or double data rate) RAM came on the scene, it changed how data transfers were registered. Instead of only actuating once on the rise of each clock cycle, it could now also process an additional operation on the fall of that same clock cycle, effectively doubling the rate at which the DIMM could process data. The figure for accurate measurement of data transfer requests then shifted from MHz to MT/s to adjust for this change, despite the fact that memory still operated at the same frequency.